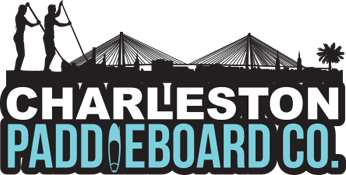 See why we are Rated #1 Surfing Charleston SC! My sister and I had a girls weekend and had booked a paddle board tour with Carolina Salt. We had such a blast that we came back the next day for surfing lessons! Kyle and Connor were awesome and we highly recommend them! Kyle went out of his way to teach us how to surf and his passion was evident! Totally professional and he has a photographer who takes pictures for you as part of your purchase. He is also really good at building confidence! Perfect for beginners or surfers of any level! I’ve been meaning to write this review for a while, but I have been too busy surfing!!! =) Kyle has not only helped me to progress quickly after being out of the water for several months, but he has also helped many of my friends try surfing (and get up!!) for the first time. I started surfing at the end of last summer and was hooked, but had trouble transitioning from a beginner board to a hardtop. I was frustrated and getting nowhere in my other lessons. Then I was referred to Kyle and Carolina Salt. GAME CHANGER! In just four lessons Kyle had me go from a foam board, to a hybrid board to the shorter hardtop I had been trying to get on for MONTHS. Kyle also has helped many of my friends surf for the first time- including some of their children! I have seen him with both experienced surfers and new surfers – helping each of them with detailed tips and analysis. And all of this is while making everyone feel comfortable and confident. Kyle has a 100% positive teaching style and you can tell he absolutely loves what he does. If you are interested in trying surfing, or looking to knock some rust off of your surfing skills- this is your company.